acquisition of a 15.6 per cent shareholding (approximately 28.8 million shares) in the Group. Last month BESIX Group entered into an agreement to acquire the major shareholding from long-term Watpac Board member and major shareholder, Mr Kevin Seymour AM, and other parties for an estimated $20 million. Watpac Chair, Chris Freeman AM, said he welcomed the Foreign Investment Review Board’s decision, which formally concludes the significant transaction. “BESIX Group is the largest Belgian Construction Group working worldwide. Its investment in Watpac provides a stable, sophisticated platform for BESIX Group to expand its international operations and increase its exposure to Australia’s construction sector,” Mr Freeman said. BESIX Group was founded in Belgium in 1909 and is one of the world’s largest privately-owned construction groups, operating in 17 countries in Europe, Africa, the Middle East and Australia and employing 20,000 people worldwide. The company specialises in the construction of buildings, infrastructure, marine works, sporting facilities and civil engineering projects and has a forward order book totalling EUR 3.5 billion. BESIX Group was part of the joint venture that delivered the world’s tallest tower, the 800 metre ‘Burj Kahlifa’, in Dubai in 2010. 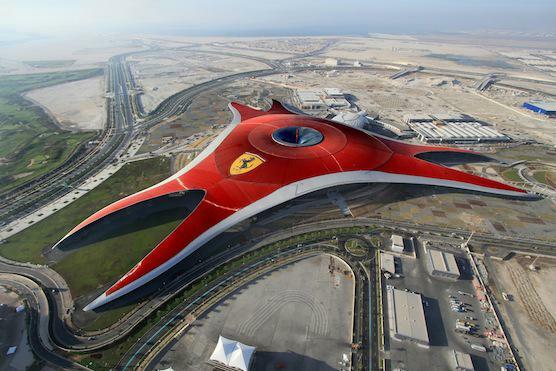 Current projects include the EUR 1.5 billion Ferrari Experience theme park in Abu Dhabi (pictured).